This handpicked collection of handmade June birthstone jewelry is a mix of two stones — elegant pearls and the mysterious shimmering moonstone. Some of the pearl jewelry is knotted, some is set in leather, some in silver or gold settings. 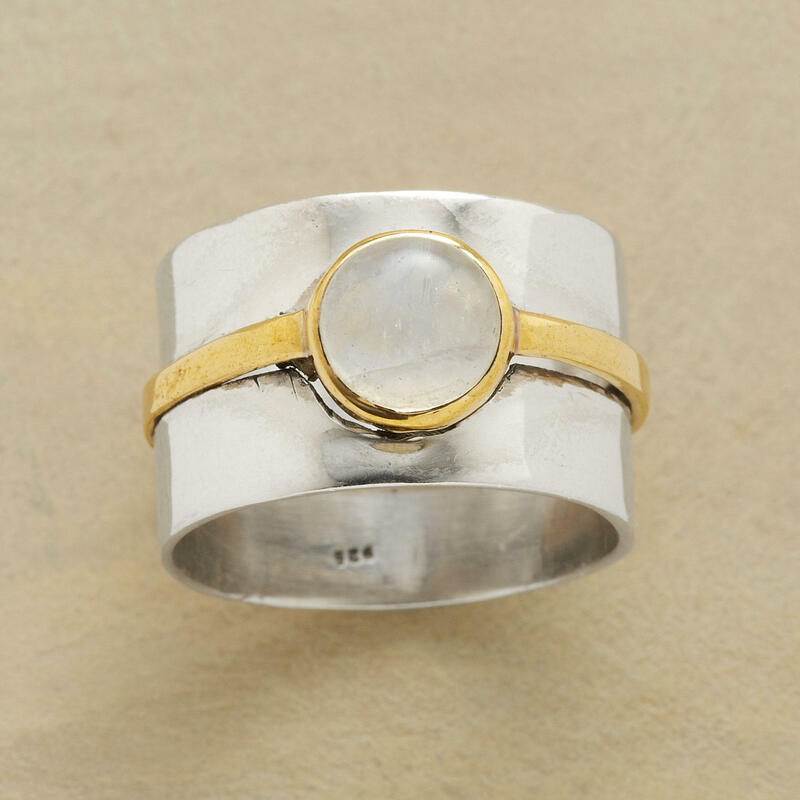 The moonstone pieces are set in silver or gold. There are rings, bracelets, and necklaces in a range of prices to fit most jewelry budgets. 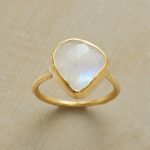 Birthstone jewelry is a wonderful connection to our past. The practice of wearing gemstones to attune to their vibratory powers is ancient. And associating specific gemstones with birth months goes back over 2000 years and has evolved along several separate cultural paths. This collection of beautiful handmade birthstone jewelry is based on the familiar modern United States standard that was created in 1912 (and updated in 1952, 2002, and 2016): Garnet (January), Amethyst (February), Aquamarine, Bloodstone (March), Diamond (April), Emerald (May), Pearl, Moonstone (June), Ruby (July), Peridot (August), Sapphire (September), Opal, Pink Tourmaline (October), Citrine (November), Turquoise, Zircon, Tanzanite (December). Click the birthstone links above, or month buttons below, to see the other collections of handpicked handmade birthstone jewelry.